Aerobics is out and Zumba exercise is in. Maybe you aren't ready to switch up your routine just yet but if you are a group fitness type, the fact that everyone is doing Zumba kind of says you have to. 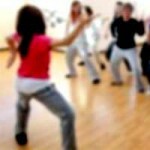 Zumba exercise came up previously in a discussion about the waist slimming effect of fat burning Latin dance exercise in addition to curvy dancing and figurobics. Now we're set on Zumba dance exercise to answer the underlying question, Is it really as good as a workout as they say it is? Here are the bare necessities that you need to know before jumping into Zumba fitness. There are 3 ways to Zumba that are: getting your Zumba dance workout by following choreography on video or by taking a class. Another way to Zumba is by playing games like Zumba Fitness 2. Note that the latter is more demanding on your time so if you feel you are too bent on time to exercise, video Zumba might be just what you need to break into exercise. Who said you had to be signed up for dance fitness to get your Zumba on? Taking up Zumba for the first time is not as uncommon as you would think. You would be surprised how many people get their first Zumba on watching a DVD or streaming their workout from youTube. Pick up a copy of the latest Zumba workout DVD on the way back from work or class. 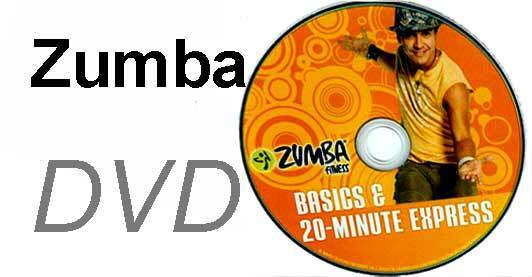 The advantage of Zumba DVDs is that in most cases you can rent or buy the latest and greatest workout video. Picking out a DVD for zumba is much like picking an instructor for dance class. Tip: Make sure you like your instructor before getting drilled into shape. Just think. One minute you can be talking on your cell phone and the next minute you could be busting out your Zumba. The fact that Zumba is online makes it hard to resist setting it down on youTube and letting it play. 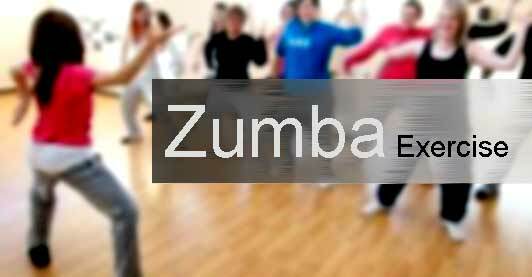 Comment your favorite free Zumba workout video online. 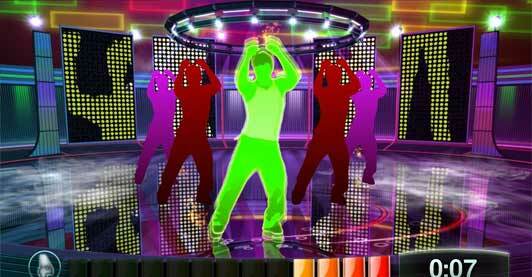 Zumba is on most game systems with Wii-like abilities to use you body to control an avatar in the game you are playing. Games labeled with Zumba in particular are great for getting Zumba exercise in while enjoying yourself. Some even say it's like Rock Band for your body. If you are really serious about Zumba exercise and are just more productive in a group fitness setting, I think you really need to just go and sign up for a class. Choosing an instructor to suit your needs is just like picking out the right workout DVD. Make sure that you sign off on their instruction style before getting piled into shape by their Zumba. I know you are thinking, what am I going to wear to Zumba? It turns out that there are clothes that you need to be wearing to get into the right Zumba spirit. Think like, dress light. Wearing a sweater and sweat pants when you workout is something you don't ever want to get caught doing on Zumba. Wear something that looks decent even when you are drenched in sweat. That is nothing that covers you armpits, no t-shirts. Recommendation: Tank top. Wearing the right pair of shoes while you Zumba, makes a huge difference in how you feel after 30 minutes minimum of Zumba dance, especially when it comes to the area around the arc of your foot that is said to burn like crazy when doing Zumba. Wearing dance shoes while doing Zumba is highly recommended as they make it easier for you to slide and move across the floor not to mention help you complete twists and turns without hurting yourself. These are the things you don't know about before talking up Zumba but learn that are essential are you make progress from beginners to advance levels of Zumba fitness. add resistance to your dance workout routine. They typically weight 1 lb each providing light resistance when doing Zumba and come in an assortment of colors including: yellow; green; pink; and purple. Zumba that uses toning sticks is sometimes called to ask Power Zumba or Zumba Toning. Getting a pair of will cost you somewhere around $20 (USD). Zumba music is a playlist by Tori Jackman, Zumba Instructor on youTube. It is also a good place to get started when looking for playlists featuring Zumba songs. Note that Zumba music is also available on iTunes. Dancing exercise is off the hook! When it to losing inches off your waist there is no better way to dance it off. Get your curvy dancing on! Dancing as exercise. Aerobic exercise in water is the best for getting started out on fitness. With the benefits of water aerobics you have all you need to take on aqua aerobics. One exercise for women that you don’t want to pass up is the curvy dance. Not only does it help you get a slim figure but also exercises areas in your hips that other exercises don’t touch. Curvy dancing. 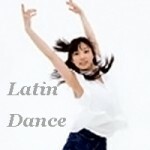 ←Previous Is Latin Dance The Workout You Should Be Doing To Burn Fat?